Video deposition and litigation services are a very important part of modern court reporting services. 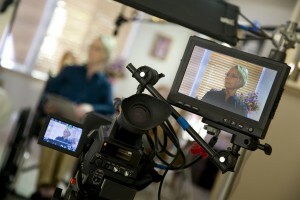 Elite Court Reporting Agency provides Legal Videography as part of our full services national court reporting services. They are provided by our professional staff of legal videographers. In the modern courtroom, video plays a vital role for testifying, litigating and court reporting. A video deposition testimony can have a significantly greater impact than a simple court transcript, and can be used to impeach witnesses whose testimonies change. Because of this, Elite Court Reporting Agency now offers legal videography as part of its comprehensive selection of court reporting services. Elite Court Reporting Agency uses the top video recording technology to produce its courtroom videos. You can choose from either MPEG1 or MPEG2 video format, depending on your needs. Our company offers unique legal video services including Internet video streaming, courtroom playback, video synchronization and much more. Put your legal trial in good hands by seeking out Elite Court Reporting Agency’s unparalleled legal videography services. In personal injury, accident and medical malpractice litigation, it’s common for the plaintiff’s lawyer to provide day in the life videos in the courtroom. These videos chronicle how an injury or medical malpractice has affected the plaintiff’s day-to-day life; these videos can have a much greater impact than simple courtroom testimony. With Elite’s high-impact day in the life videos, you can successfully get the settlement you need to recover from your injury. What sets Elite’s legal videography services apart from the competition? Each of our on-call legal videographers is experienced, qualified and highly professional, ensuring you get the best legal video possible for your trial. Elite Court Reporting Agency serves all 50 U.S. states and has been named an Ethics First Firm by the National Court Reporters Association. 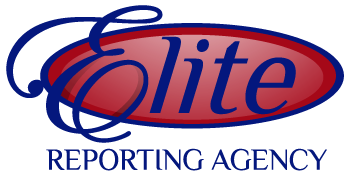 To schedule any of Elite Court Reporting Agency’s high-caliber court reporting services for your trial, feel free to call us at 877.233.4403 or email us at depo@elitereportingagency.com.